Duffield Parish Council operates CCTV on Wirksworth Road corner. 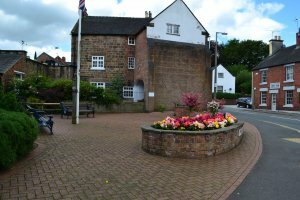 Duffield Parish Council operates CCTV at the corner of Wirksworth Road, and at the Eyes Meadow Changing Rooms. These cameras are deployed in accordance with our CCTV Policy, below. All images are deleted regularly and would only be viewed in the case of a complaint of anti-social behaviour or crime. CCTV policy, created July 2016.